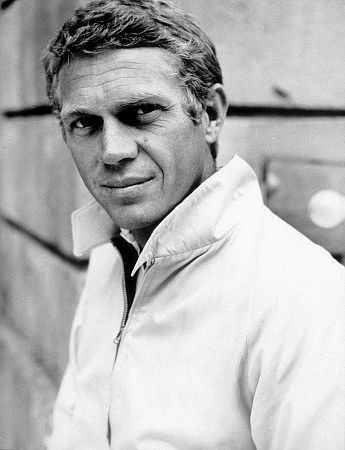 The king of cool, revisited. Screenwriter Anthony Peckham has been hired to write the script for Yucatan, based on an original story by classic movie star Steve McQueen, who died in 1980 before being able to fully realize the project. McQueen left thousands of pages of notes and even storyboards outlining his ideas, which were discovered several years ago by the actor’s son, Chad. ” … [A]n archaeologist from the Museum of London enlists a renegade Navy diver, who works for the oil companies and races motorcycles on the ‘shores of the Mojave,’ in a plan to explore the cenotes, caves in the Yucatan jungle that reveal underground lakes. Here, a millennium before, Mayan priests sacrificed virgins covered in gold and precious jewels, a fortune rumored to still adorn their skeletons at the bottom of these sacred wells. An elaborate motorcycle chase across the sands of Mexico? A concept drawing of the chase sequence (NYT). From the man who brought us the best car chase in film history, we could expect no less. There was talk several years ago of Charlie’s Angels director McG resurrecting Yucatan, but thankfully that deal fell through. No offense to Mr. McG–he is the producer of one of my favorite television shows, Chuck, and directed the amazing pilot episode–but having sat through the torture that was Terminator Salvation, I would be a little leery of seeing what the hell he would do to/with this material (and let’s not even go into the steaming dung heap that was Charlie’s Angels: Full Throttle). Instead, McQueen’s grand idea now rests in the rather capable hands of Robert Downey, Jr., who (partnered with his wife, Susan) will produce the film, with Downey himself possibly to star. Now, this … this, I can get behind. Time will tell if the film meets expectations, but hopefully the spirit of McQueen’s story will be evident in the finished product. And at the very least, the completion of McQueen’s pet project, more than thirty years after his untimely passing, will serve as a fitting tribute to one of the great screen stars of the classic movie age. All things considered, it sounds as though Yucatan will be a kind of Indiana Jones-type adventure for the spelunking set. I know I’m looking forward to seeing what Peckham and Downey do with the story; are you? Win a copy of the new Mary Wickes biography!